There are many cool and awesome mobile apps to check out besides the garden variety social media ones. There are many lesser-known, yet awesome apps just waiting to be discovered and downloaded onto our mobile devices. The coolest apps, however, usually tend to be fun, entertaining or uniquely helpful. After searching for a bit, we've found several apps that reflect some or all of those same qualities. Here is our list of nine really cool apps you've never heard of. Choosing a programming language course on Programming Hub. The app's programming courses have an optional Text-to-Speech feature, allowing for a more immersive experience. If you quit in the middle of a lesson, the progress you made in that lesson is lost. With lessons broken down into easy-to-understand steps and its consistently encouraging feedback, Programming Hub is a great app for those who want to learn a programming language at their own pace. You've got over 20 programming languages to choose from, including HTML, Python, Java and C programming. Programming Hub is free to download for iOS and Android devices, but premium features such as no ads, offline mode, and unlimited access to all courses require a subscription: $10.99 for one month, $28.99 for three months, and $399.99 is usually charged for its Lifetime premium option. Explore the constellations of the night sky and learn all about them with tap. The viewing mode provides illustrations for each of the mythical creatures each constellation represents. You can tap stars and planets to get specific information about them, but not with constellations, which seems like a missed opportunity. Perfect for astronomy-buffs, the Stellarium Mobile Sky Map app helps you to explore the night sky to learn all about stars, constellations, and planets with just a swipe and a tap. There's even a GPS feature, allowing you to navigate the stars by waving your phone in different directions. You can purchase the Stellarium Mobile Sky Map app for Android devices for $2.49; $2.99 for iOS devices. Adobe Spark Post offers many different design templates to choose from when making your own posts. A seemingly endless amount of professional-looking design templates and layouts to choose from. The image editor has a very small work-space, which takes up about only half the screen. There's also no way to zoom in on images, or sections of it while editing. Adobe Spark Post is a graphic design app with loads of ready-to-use, customizable design templates. The app comes with seven customization options, including image filters, resizing, recoloring with different color palettes, and layout options. Adobe Spark Post also offers access to a large collection of free-to-use stock photos for use within the app. Once you create your desired image, you can save it, share it on your social media accounts, email it, or text it. It's free to download and use on both Android and iOS mobile devices. Chat with Wysa the chatbot and Wysa will often respond with mental health self-care tips. Recommended self-care tools include a brief explanation of the science behind the efficacy of each one before you start an exercise. While the interface is easy to use, the app lags a bit when loading certain features. Wysa is a penguin-shaped chatbot that listens to you talk to about your feelings. It then offers mental health advice, self-care tips, and exercises based on the issues you discussed with it. Wysa offers a wide variety of coping techniques for its users such as meditation, yoga and breathing exercises, and tips for better sleep. Wysa also helps you talk through your issues and worries using conversational coaching tools to encourage you to analyze and organize your thoughts. While Wysa is free to use and download on both Android and iOS devices, you can receive further assistance from a human Wysa Coach if you pay $29.99 per month. The DreamLab app allows you to keep track of your assigned research project's progress. Though the app uses your data to complete its tasks, you can control the amount of data DreamLab uses per month by setting a limit in the app's settings. It has been reported by some users that prolonged use of the app has resulted in their mobile devices overheating a bit. DreamLab helps further a cause that's incredibly important: the search for a cure for cancer. DreamLab supports cancer research by allowing your phone to help conduct the research itself. By harnessing your phone's processing power to process calculations for a cancer research project, the research is sped up, inching the world closer to a cure and better cancer treatments; and it's all done while your phone's charging. Once your phone's calculations are completed, the data is sent back to the Garvan Institute of Medical Research. DreamLab is free to use and download on both Android and iOS devices. Purchase and read your favorite comic books on multiple mobile devices. You can view preview pages of each book before purchasing. An Amazon or comiXology account is required when a potentially easier option would be allowing users to sign in using their Google Play account or Apple ID. With the Comics app by comiXology, you can purchase, read, and store your favorite comic books and graphic novels on your mobile device. The Comics app has a vast collection of comic books, graphic novels, and manga, including titles from Marvel Comics, DC Comics, IDW, Image Comics, and Dark Horse. Other features of the Comics app include storing your purchased comics on an SD card, and offline reading. The Comics app by comiXology is free to download for Android, iOS, and Kindle Fire devices, but the app charges varying prices per book. Another payment option is the comiXology Unlimited monthly subscription, allowing you to read any of their content for $5.99 per month. Before you decide to purchase a city guide, the Spotted By Locals app allows you to preview them. The curated city guides suggest landmarks to visit, as well as small restaurants and parks. Free previews of each city guide come with the app, but there's not enough information to determine if the full guide is worth the money. The Spotted By Locals app is exactly what it sounds like. 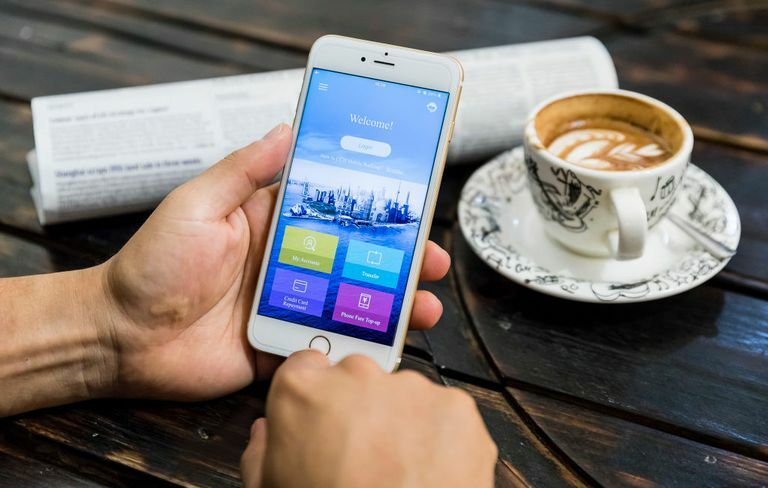 It's a travel app that recommends places to visit within your desired destination; the suggestions themselves are even curated by people who live in and around the area. Instead of just visiting the most popular places for tourists, you can experience the area as a local. The travel guides within the app are accessible offline, and you'll have continuous access to updated information. The Spotted By Locals app is free to download, but city guides are $3.99 each. The app is available for both Android and iOS devices. PicsArt Animator's video editor, showing a preview of a short video made using a pre-made background with an animated sticker added on. Unintuitive interface and there aren't enough tutorials to cover all the app's features. PicsArt Animator is a fun, creative app that lets you make short, shareable videos, animations, and GIFs on your mobile device. It offers numerous creation tools, including frame-by-frame animations and editing, drawing and sketching tools, and the ability to record voiceovers. PicsArt Animator is completely free for both Android and iOS devices. Anchor lets you record a podcast on your phone with just a tap. Record directly to your phone and add people to a recording session by sharing a link. You can listen to others' podcasts, but there's seemingly no way to fast-forward or rewind by more than 15 seconds at a time. The Anchor app lets you record, edit and publish your podcast using just your mobile device. Your show's analytics are also accessible, so you can keep track of how many people are listening to which segments of your podcast. Anchor is free to use and available for both Android and iOS devices.